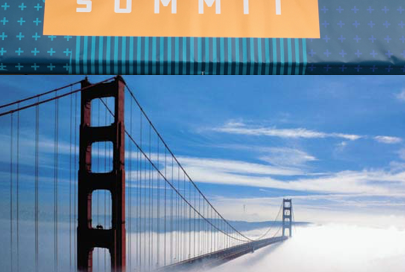 The Summit was sold out a couple of weeks before so there were only about 7,500 of us at the two day local San Fran event. Let’s take a look at what might explain the turnout, the $14BN run rate and the 49% growth. In summary they are going more granular and broader, while at the same time democratizing the use of their services and releasing on average 3 new capabilities a day. And the cherry on top is that they are also changing the way we procure software. Going More Granular – is reflected in their availability of Micro Services. This increases the control, flexibility, sophistication and cost efficiency for existing and new capabilities. They also increase the effectiveness of teams by democratizing the accessibility and use of AWS Services at smaller scale. And yes, I am being very high-level and general about really techy stuff and that’s because I have long since stopped using my CompSci degree for anything but keeping coffee stains of my study desk. So, let’s just focus on the benefits. These capabilities – allow the fine tuning, acceleration and reduction of friction related to how tech is built, deployed and managed. That’s why delivering 3 new capabilities a day matters. Like providing alternatives to OnPrem and hosted databases and doing some 23,000 DB migrations to make it happen. Creatively solving customer problems by collaborating in ways that traditional vendors would not – like offering VMware workloads on AWS and taking risks on new trends like IoT and smaller and smaller units of compute. And did anyone notice AWS expanding globally at a staggering pace. That equals a $14BN run rate. The AWS Marketplace is a B2B App Store and an emerging focus for AWS to reduce the friction associated with the way organizations buy software. As a young officer in the Australian Army one of my first fun tasks was acquiring a Prime Minicomputer that we could drag around with the HQ. While things are much easier now there is no doubt that even buying B2B software in a cloud or SaaS world is still agonizing. 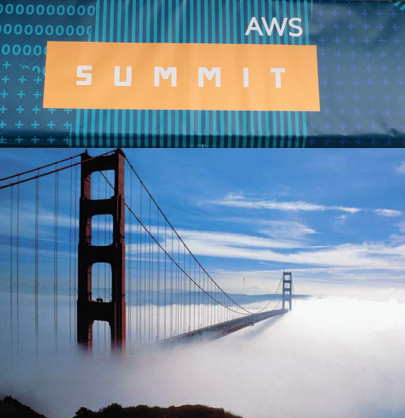 So AWS is reaching beyond the way that SW is built, deployed and managed. Yes, these “splitters” are returning to their Amazonian roots to make buying and selling simple, fast and efficient by introducing self-service for hosted and SaaS software. Just add it to your AWS bill. That equals 92 services and counting. The unique benefit that I see from AWS is that they help you extract greater value from their services including reducing how much you pay AWS. I recall asking an CIO at a mid-tier financial institution his reason for his “Amazon-unless” mandate. “AWS reduced their prices 28 times in the last year. So while AWS are reducing my costs I spend most of my time fighting with my other vendors to avoid maintenance and license fee increases.” AWS achieves that through a unique culture – see Jeff’s 2016 Letter to Shareholders that includes cannibalizing their own revenue, innovating quickly, hiring builders, organizing in small autonomous teams, and actually letting them finish their offerings before moving onto something new. They also use their own stuff to build new stuff. These are the kinds of not so common ‘common sense’ ways to work that get stifled by the “Institutional No” at financially engineered traditional vendors as they “howl at the winds of change”. That equals 49% growth and explains why CEO Andy Jassy earned $35.6 million last year, including his stock awards. So what’s next for AWS? Is it possible AWS will continue to lead the charge and change the nature of Tech? The answer is to do as they do. Let’s listen to their customers and see if AWS will continue to deliver what customers value.